Many ESI readers are friends of mine and know about a career move I made a couple years ago from Michigan to Oklahoma. Several have asked me to give an update on that move and how I ended up in my new state of Colorado. It’s a story full of twists and turns (and some good learnings), so I thought the rest of you might want to hear it as well. I had moved to Michigan in the fall of 1999 and lived there for 14 years. I had been in the same job for almost 10 years. It was a position I loved working for people I admired. I wasn’t looking for a new job when I received an email from an executive recruiter (ER) in March, 2013. He presented me with an opportunity that was in an industry I had worked in and was a level higher than my current position. While I was intrigued by it, I brushed him off as a matter of habit. To make a long story very short, through a series of events I eventually took the new position. Highlights of the new position: 1) The company was privately held. It was about $100 million in sales. 2) It was in Oklahoma. 3) I was the president of the company, reporting to the owner/CEO. It was a big move up and a great challenge. 4) The company had great people and a solid business, employing several hundred people. 5) I received a good pay jump to make the move. I moved to Oklahoma in August 2013. I flew back and forth a few times until our Michigan house sold. My family joined me in November in an apartment and by the end of December we had moved into our new home. The next year was crazy. The business was in decent shape but was in a declining industry. My boss gave me free reign and I implemented many changes to position us for future growth (mostly in the sales and marketing areas). It was challenging, exhausting, stressful, and all-consuming, but by the end of 2014 our plans had great success. We ended the year with the highest sales in company history and the fourth highest profits ever. We were on cloud nine! As we got into 2015, the momentum continued. We were doing well in the early months of the year. Then in April 2015 it happened. My boss called me into his office and said he was leaving the company. His family business needed him and he had to leave our company. The board had named a new CEO and he would be starting in a few days. Uh oh! The new CEO started a few days later. I met with him on day 1. He seemed cold and aloof and I wasn’t sure how to read him. Over the next two weeks I was only in the office a few days. I traveled for work several days and took a couple vacation days. As you might imagine, the entire company was wondering what the change would mean for all of us. On the 11th day after he started (two working weeks and a day), he came into my office on a Monday morning. He told me it was clear that we were not on the same page. I responded that I did not know what page he was on but I was trying to figure it out so I could be on it. But he had already made up his mind. He said they didn’t need me and that my employment was terminated immediately. I don’t know if you’ve ever been fired, but this was a first for me. It wasn’t a complete shock since whenever a new leader comes in all bets are off. But it was shocking in that 1) it happened so soon after he arrived, 2) it happened less than two years into my tenure there, and 3) it happened after we had delivered a record sales year. I was much less panicked than I thought I would be. I was in sort of a dream world as I walked out of the office and to my car. I called my wife, told her (she was shocked as well), and drove home. I then committed to take a week off and do nothing, which is what I did. I decompressed, relaxed as best as I could, and simply put the situation out of my mind. Two things struck me about this time: 1) the people I thought would reach out and help me who didn’t and 2) the people who I thought would never reach out to me to help and yet did. I had “friends” who didn’t bother to contact me — or even respond to my emails. And I had others who I didn’t know that well call me, say how sorry they were, and offer to help however they could. After the week was over, I started cranking up my job search. I had plenty of savings, of course, so I had some time, plus I had the income from my rental properties. I considered retiring for good, but wasn’t completely happy with my net worth. So I started looking for a new job in mid-May. I need to note here that I didn’t know how long I would be unemployed and doubt did seep in now and then. If the old guideline of “one month to find a job for every $10,000 of the paycheck” held true, I would be without a job for a long, long time. The biggest advantage I had was my network. I emailed and called everyone I knew and got my feelers into the market. I developed and worked relationships online. After a few weeks, I had three decent prospects but one that I preferred. After a series of phone and in-person interviews, I was offered and took a job in Colorado. I started at the end of July. My family arrived in September when we bought our house here. Our Oklahoma house sold in October. The key for getting the job I wanted was my network. I was recommended for it by three people I knew and who also knew the owner of the company. I’ve now been working here for eight months and am enjoying it. The pay is lower than I was making, but so is the stress/pressure. And the pay is close to what I was making in Michigan, so I ended up where I had been after all. Be very careful when making a career move as you’re messing with your single greatest asset. A wrong move could hurt you. It’s often worth it (as I’ve proven time and again in my career), so I’m not saying not to do it. Just be careful. Do your due diligence and consider the possibilities before any move. Even though you think you are “safe”, you never truly are. You need to always work your career. Networks are key. They are a big part of your career insurance. Things happen. Don’t let them get you down. Layoffs can be managed better if your financial house is in order. If you get fired, it’s not the end of the world. Take some time to re-group and then get back on the horse. In the end, I was only without a job for a bit less than three months. It’s a mini-miracle that the time was that short. This may seem surprising to some, but I am glad I took the position in OK. It was a job I felt I needed to take and was glad to have the experience as the head of a company. Not that I’d do it again or choose to go through something similar again (especially for my family), but it was a good learning and growing experience. Wow, that is a lot of change, but I am glad things worked out. By coincidence, my boss told me last week that he is leaving and most of us are not happy with the replacement. We moved here last year and had planned to buy a home this summer. However, with this recent change, we will rent for another year to see how things go. Like yourself, I am not panicked. We have a large amount of savings. Also, the severance package (should it come to that) is huge and I have several places I could go to should something happen. One quick question. 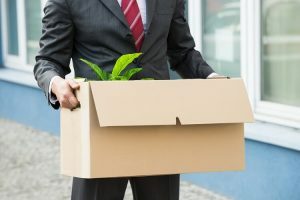 Did you consider returning to Michigan or have the opportunity to return to your previous employer? I wish the best for you. I’m sure it’s stressful but nice that you have a way out if need be. I did not have the chance to return to my former employer and I really didn’t want to return to Michigan. While my kids consider it “home”, I wanted to move somewhere that I liked better (the winters were brutal). So far, Colorado has fit that bill! Did you receive a severance package and if so for how long? I’ve heard of people getting a 3-6 month package and get a new job in 1 month which means the rest of it is gravy. I did receive one but can not share the contents of it per my agreement. Did you get a severance? Have you been in touch with the former CEO and, if so, what are his thoughts on what’s been happening? Have you been able to follow how well the company is doing under this new CEO via your old team? You’d think the board would have been shocked and dismayed at the ouster of the President so quickly after the on-boarding of the new CEO and after record years. I’m very happy to hear you quickly found a new position in a great area with a similar income to your position in MI. I have not been in touch with anyone at the company. The board was controlled by family members and they were all in agreement with the change. ESI, your lessons learned are spot on and are what resonated with me. No one is immune to the risk of job loss. its simply prudent planning to have your house in financial order providing alternate income through investments and other sources. Since you view your employment as a valuable asset, I agree with this, having alternate sources of income gives you diversification. I’m glad that this worked out well for you, I know many who are over a certain age and have experienced or are experiencing difficulties in becoming employed again. I have worked for my employer for nearly 30 years, in an industry that seems to be populated with a lot of grey hairs, and am a high performer, but I could still be next. Hopefully I will reach FI before that day comes. Congratulations on your new position and your new home state; CO is a beautiful place to live. I wondered how you ended up in CO, I’m glad things worked out. When my husband is frustrated with his job he reminds himself he can always find something else. Our cost of living is low and our savings well stocked, providing a lot of options. Thank you for sharing. I was part of your previous blog interviewing large net worth readers. I didn’t realize six months later, I’d be laid off from my (former) dream job. – I’m thankful for my network of friends who helped support me during my six month hiatus. – I’m thankful for a career counselor who guided me. I eventually ended up with three job offers to choose from. – I’m thankful for a generous severance package and emergency fund that allowed me to not stress about my house payments or putting food on the table during that period. – I’m most thankful for a family that supports me and allowed me to walk down that long and scary road. You give a very good example of just how quickly things can change. Life can change without notice and it is nice to have your financial house in order to minimize disruptions. If one does not they can make rash, problematic and even stupid decisions. I am sorry to hear that things did now work out but over the past 8 years I have seen too many peoples live change drastically without notice and some survived the change while others are still struggling. Being able to adapt and reinvent yourself is very important. I think this is part of the problem I see with people who are struggling have a limited skill set and don’t want to evolve or change. The just want back wat was. You are soooooo correct in that your Career, Profession, Occupation, Job, whatever you want to call it is your most valuable asset. Thanks for providing this insight to your last few years. Been wishing you and yours well, and curious (but not enough to pry!). You handled this like the Baller that you are, am sure your NW preparation allowed you to move through the literal and figurative pathways without the vulnerability I have seen far too often from those blindsided by the vagaries of worklife, and am gratified that your priority was your family first, and happiness/fulfilment second. Wishing you success on your terms, as long as your choose to stay in this position. fwiw, Adam Carolla has a great book called ‘In 50 Years, We’ll All Be Chicks!’ In it, he has a chapter on change that is forced upon us. Fantastic guidance, I highly recommend it to all readers of your blog. Check it out from the library, to the cheap b*st*rds that don’t want to buy it! Anyway, often change comes without warning and is unfair and not our first choice, but quite often good things will come from that change. So happy to hear that this is what has happened to you, and wishing you happiness in CO! Thanks for sharing that story. I didn’t know these details until now. What a sudden turn of events. I was the CEO of a $50M division of a $120M revenue company, with the Group CEO being an American. We were sold to a Singaporean run company who over a few years got rid of all the Westerners and replaced them with Singaporeans. My boss, the Group CEO succumbed in early 2014 and I ended up leaving about 6 months after- I too went into a new role where we delivered a record year in 2015. Our Corporate CEO who hired me retires at the end of July this year and the board is looking for a new hire. I will try to make sure it goes as best as it can but like your experience we never truly know how things will play out. I do have enough passive income and have been starting up a side business idea that when mature could become many multiples of my current salary. However as of now the salary of my day job accounts for 75-85% of our total income so it would be a big hit income-wise to lose that. You are totally correct- it is our greatest asset. Glad to hear you navigated it so well. We were living in St Augustine, Florida for the previous 5 years and my wife had been with a company for 12 years (only job out of college, but we moved around a couple of times to different plants). An opportunity comes up to change companies and earn a nice raise with some big bonuses, promises of the boss, who gave a good spiel about what the job would entail, etc. Well, she takes the job and realizes that 1) the 10% travel is going to be 25%-50%, including international travel that was not communicated at all during the interviewing process, 2) the corporate politics are going to be nasty and she doesn’t play them, 3) lots more work and stress, not nearly enough to be worth the extra money. We have 3 young kids so she didn’t want all of that. Well, 1 month into the job she’s stressed out, not eating, not sleeping well, etc. We had a long term goal of moving back to NC, she’s from here and I loved it when I lived here a while back. We decide that she’s going to quit and we’re going to just up and move. This is June 2014. We got our house ready in 2 weeks and put it on the market. The 5 of us stayed with her mom for a few weeks while we got everything sorted out. She was in demand (she’s a fantastic employee, but doesn’t want anything to do with being in a manager position), had several interviews and decided on a job that was in a small town halfway in between where her mom and her dad live. We moved and bought a house, but had a bit of a cash flow crunch in that we needed to come up with the down payment to our new house while waiting on our old house to close – had to agree to a 60 day close for them to get their loan in order. Thankfully we had a large enough emergency savings, a relocation package (was not as much as it could have been since we had already moved ourselves to her mom’s house, we got a rental move instead of a home owner’s move) and I had kept a bit of our stock in cash when we knew we were going to move. I think we basically ended up even after the move. We are happier here, being close to 2 sets of grandparents, was able to get a house with an extra room for when my parents visit. My wife’s commute went from 45 minutes to 10 – what a difference that makes! We quickly found a church and friends that it feels like we’ve lived here a long time already. I am jealous about you living in CO though, I was born there (Longmont), but my parents retired to Arizona so I don’t have any connection anymore. We are going on a vacation there this summer though. I finally get to show my wife where I grew up. Two weeks is so quick for him to have made such a huge decision. I’m glad you were able to turn it into something good for your family. How is the old company doing now? I hate it when there are new boss is in town. I think I had seven new bosses in 11 years. I survived, but it was not fun. Not sure since it’s privately held and most of my key employees were tossed when I was. That said, I know they had a couple rough years (heard through the grapevine) and then had a great year as a major competitor went out of business. In the end, I’m sure they realize that firing me was their worst mistake ever! 🙂 LOL!! !